Is it bad that we can quote that Katy Perry lyric by heart? Not really, considering we built a really cool Facebook app for Perry that got the stamp of approval from the artist herself. To promote an upcoming Paramount Pictures film about Perry’s life on tour, Noble created a dynamic, interactive movie poster contest housed on the artist’s Facebook page. Fans were invited to submit a poster design through a custom Facebook app. The winning design, chosen personally by Perry, would become the official insert poster design for the DVD. The campaign needed to speak to Katy’s passionate fans while maintaining her quirky and fun image. The design used assets that match up with the superstar’s brand as an artist and was aimed at a target audience of females age 8-24.The app provided two options for fans to submit their creative Katy Perry art. Fans additionally could personalize their submission with a short note expressing how Katy inspires them. The first contest option gave fans the ability to immediately design their own poster using the Facebook app. 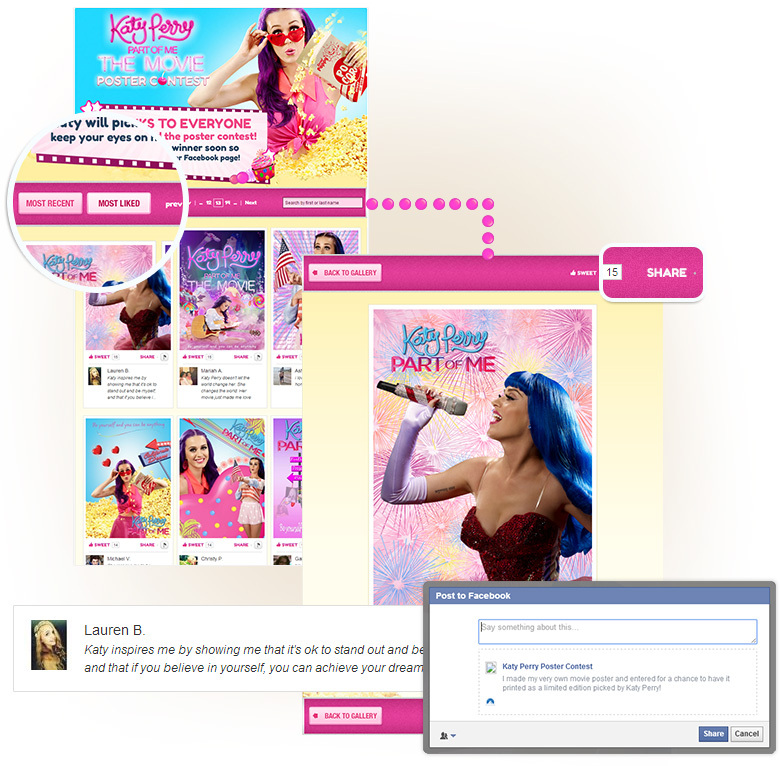 Through the web interface, fans would select a background and then drag and drop accessories, titles and pictures of Katy Perry to build a custom poster. Fans could move, resize and rotate assets to help achieve a certain vision. 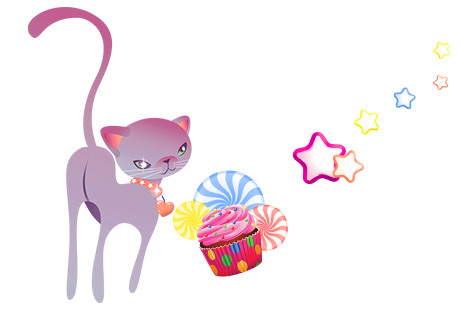 Once the fan was satisfied with the design, she published it to a public gallery where it could be shared with other Katy Cats (Katy Perry’s nickname for her legions of fans). Katy Cats who preferred to create a poster with their own software could upload a custom design through the app. The design then would go into a Noble-built moderation queue for the Paramount admin team to review before publication. All of the approved poster designs were then displayed in a digital gallery where people could favorite and share the posters they liked the most. Ten chosen poster designs were then sent to Katy Perry pick a winner. Fans submitted more than 3,500 posters in the contest. Noble used HTML5 to build the final product, allowing a broader audience to participate, as no plugins were required to access the design tools. Throughout the campaign, thousands of people additionally liked and chose their favorite design within the app. Katy Perry promoted the contest to her 50 million social fans, so our Dev Ops team constantly reviewed the server statistics to ensure the servers weren’t being overloaded.